Forward - This article is being dedicated to Dr. Bill Deagle, M.D. 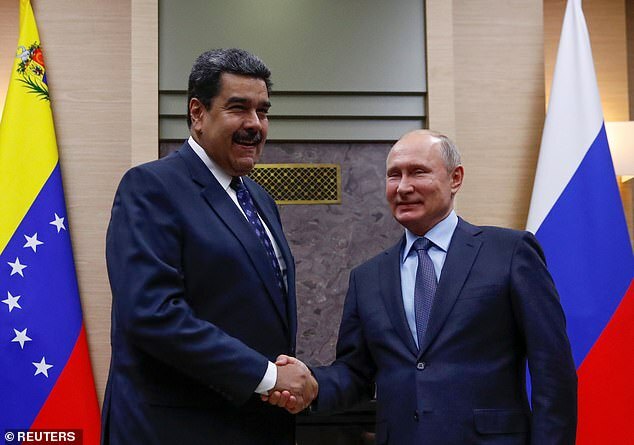 who had encouraged me to do further research on Venezuela that is related to current Chinese and Russian military activity in the Socialist Latin American nation, which has some of the largest oil reserves in the world. 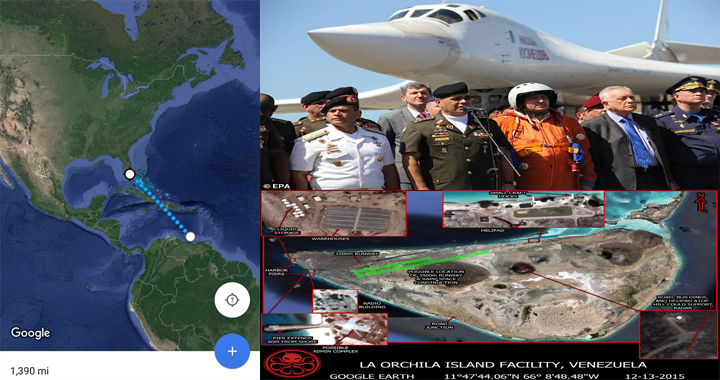 On December 18, 2018 an article at The WarZone on the Internet written by Joseph Trevithick that he titled "Venezuela Agreed To Let Russia Set Up A Bomber Outpost On This Island ," which reported about La Orchila Island in the Caribbean Sea becoming a Russian air base at a strategic location. 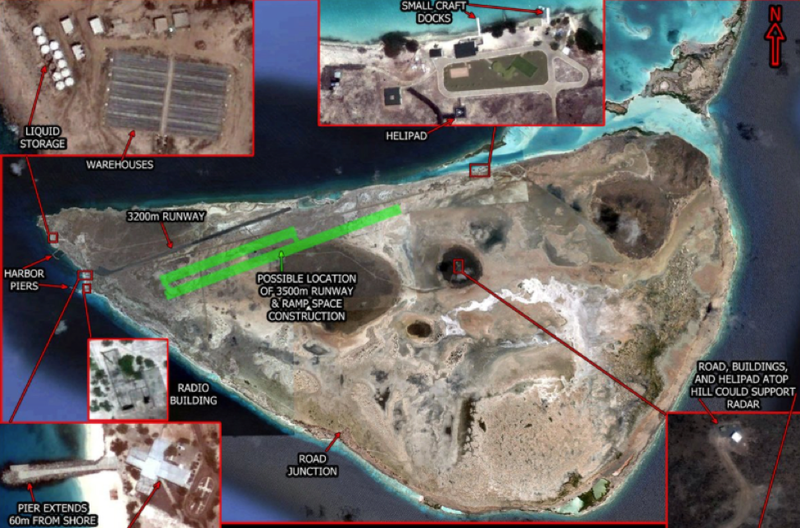 Satellite imagery photographs included with his article as well as from other sources had indicated that an asphalt runway on La Orchila Island had been expanded and also completely refurbished to a length of 3,200 meters or 10,499 feet , which is nearly two miles in length, during the years from 2009 until 2013 by the Russians. 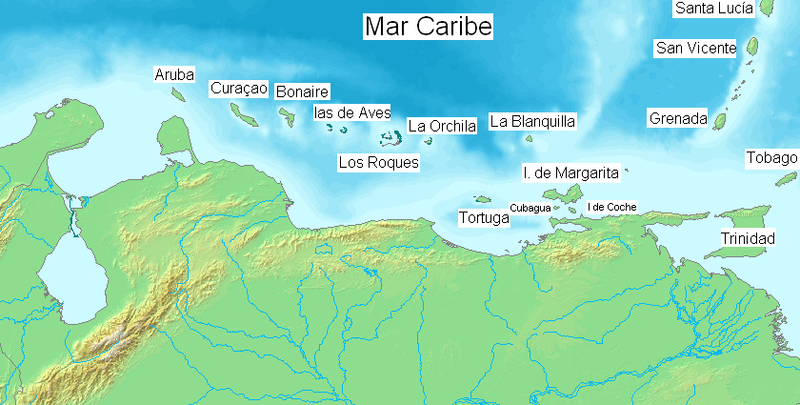 In 2018, a Russian official made a statement related to this island air base, which indicated: The arrival of Russia's Tu-160 strategic bombers to Central America..." It should be noted that most Russians know their geography well enough to be able to differentiate or distinguish accurately between Central America and South America. While Joseph Trevithick reported about this Russian military air base in the Caribbean Sea , his emphasis was mainly upon its capability to accommodate the Tu-160 Blackjack Bomber , which only requires a runway of 2,200 meters or 7,218 feet. However, he did mention that it could also land an Antonov-124 Ruslan heavy military air transport that can carry 150 tons of cargo, which needs an airstrip of only 2,200 meters or 7,218 feet in length for landings and take-offs. Upon closer examination of satellite photos for the military air base controlled and operated by the Russians on La Orchila Island had also revealed a second airfield under construction that is parallel to the already functioning runway, which will be even longer and wider to accommodate the more advanced and much larger Antonov An-225 Mriya air military transport that requires a runway with a length of at least 3,000 meters or 9,843 feet and a width of 30 meters or 197 feet . But the An-225 really needs an airfield that has a length of 3,500 meters or 11,483 feet , which is over two miles long. The answer is for only one reason and that is for the An-225 to be able to land and take-off from La Orchila Island in the Caribbean Sea as an alternative re-fueling stop-over, if necessary, on its course to Punta Huete Airport in Nicaragua where it would be able to unload its cargo that would probably consist of several fully-integrated mobile missile launchers along with hundreds of Intermediate-Range Ballistic Missiles or IRBMs armed with Thermonuclear Warheads , which can be launched from the ground within a matter of minutes after the currently largest air transports in the world can land at the longest airfield in Central America for the IRBMs to be able to reach and strike at a multitude of targets in all regions of the continental United States .